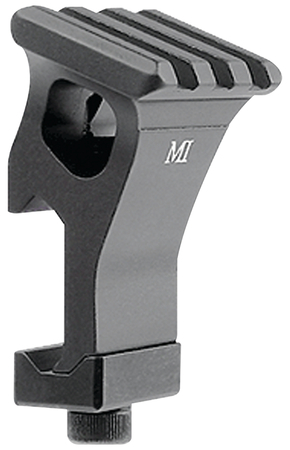 Allows an offset position for lights, lasers or iron sights. Lightweight, construction of 6061 aluminum with hard coat anodized finish. Features Mil-Std 1913 rail. Made in USA.